The toy robot war is breaking out! We need to prepare some strong robot warriors for the war.But they are still in the packing boxes. So let's assemble them to join the war. Now we need to put together the Robot Angry Bear, and then we can test its performance! Have fun! If you like Robot Angry Bear, you can put it to your favorites. So it can be convenient for you to play later! 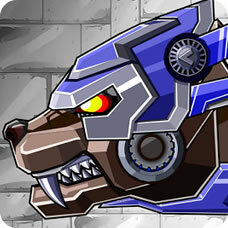 Robot Angry Bear has the mobile version.